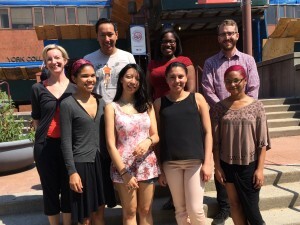 Our lab at the City University of New York and the Biology Department at York College studies evolutionary and ecological genomics in aquatic organisms. Our projects range from applied questions in conservation biology to deep phylogenetics, and from microbes to whales. Our primary research interests focus on uncovering the processes that shape biodiversity in marine and freshwater ecosystems, particularly in the context of global change. As fundamental aspects of our work, we strive to broaden participation in the sciences and to develop innovative methods for conservation science. March 2019. 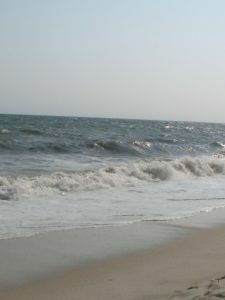 The Alter lab is one of three awardees of NY Sea Grant/DEC funds to support New York State’s Ocean Action Plan. We will be spending the next two years using environmental DNA to map NY’s extraordinary marine biodiversity across habitats and seasons. Stay tuned for more! Our new paper in Global Change Biology describes the effects of melting Arctic sea ice on marine mammal and sea bird biogeography. Do eels give a “dam”? The weather this fall has been unequivocally exquisite, which has been very helpful for our fall sampling season. 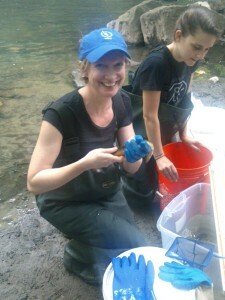 We recently collected samples from 10 sites along the Bronx River in a single day! These samples will be analyzed for fish DNA – we are particularly interested in how density of American eels is affected by the presence of dams and also by other anthropogenic factors like adjacent land use and urban run-off. We are using both quantitative PCR and metabarcoding to “look” for eels in our water and sediment samples. The metabarcoding approach is especially exciting because it also gives us information about other fish species present. From this we can infer how dams and other stressors are affecting not just the presence of eels, but biodiversity and community structure in this important group of vertebrates. 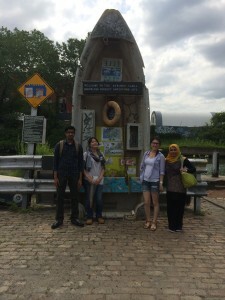 In a collaboration with Dr. John Waldman of CUNY/Queens College, our lab is developing eDNA techniques for biodiversity monitoring in NYC waterways, including the Hudson River watershed. 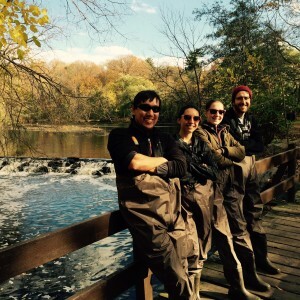 We are using American eel as a test case, working with researchers from the Wildlife Conservation Society and NY Parks to calibrate eDNA results against density measurements from electrofishing surveys. 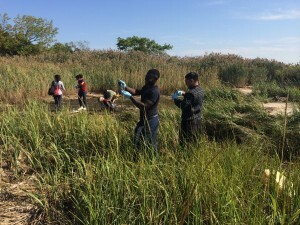 With funding from the National Science Foundation, CUNY/York students are conducting research projects to learn more about the biodiversity of Jamaica Bay and how it is shaped by abiotic gradients. 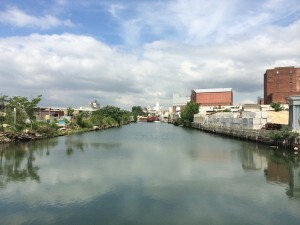 Back in April, activist Christopher Swain tried to swim the length of the Gowanus Canal. He made it about an hour, before climbing out and proclaiming, “It’s just like swimming through a dirty diaper.” One of the most polluted bodies of water in the US, the Canal was designated as a Superfund site in 2010. When I tell people I study what lives in the Gowanus Canal, the next question I get is usually “There are things that can actually live in there”? But spend even a few hours peering into the oily, obscured murk and you will see all kinds of life forms making it work, just like their fellow New Yorkers, in substandard housing. Some of these life forms are familiar and some, not so much. We study evolutionary genetics in marine, estuarine and freshwater organisms. Our projects range from applied questions in conservation biology to deep phylogenetics, and from microbes to whales. Our primary research interests focus on uncovering the processes that shape biodiversity in marine and freshwater ecosystems. How does an organism’s genome architecture interact with its ecological context to shape species diversification, adaptation or hybridization? Please contact Liz at sealter@gmail.com with any thoughts, questions or ideas! © Dr. Elizabeth Alter | All Rights Reserved.